KHL.ru completes its pictorial history of the 2016-17 season, in which we present the work of our finest photographers to illustrate the fortunes of one of the League’s teams over the eight months of the Championship. This final page is devoted to the champion, SKA Saint Petersburg. Long before the start of the 2016-17 season, the Petersburg club made its intentions crystal clear. On the first day of June came the official confirmation of something the fans had known for a some time. 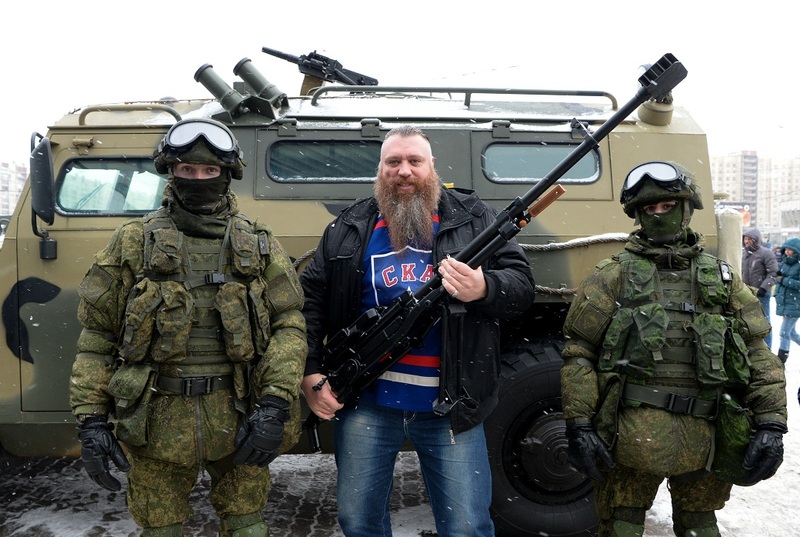 SKA had invited Team Russia boss Oleg Znarok to become head coach of the Army Men, and his trusty assistant of many years, Harijs Vitolins, would also join the staff. And there was to be more headline news from the northern capital during the preseason. 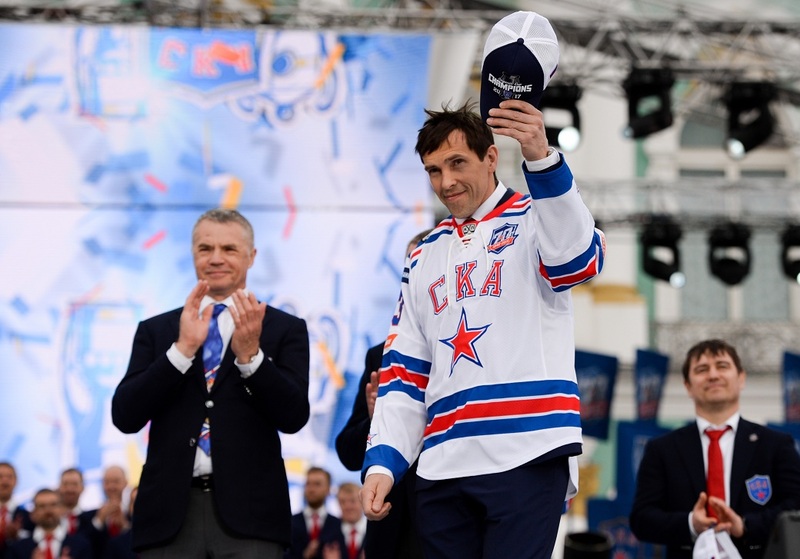 On the 8th of July, SKA announced that superstar Pavel Datsyuk had signed a contract with the Saint Petersburg club. The 38-year-old Stanley Cup winner swiftly established himself as one of the leaders of the team, and the fans saw that the Magic Man’s box of tricks is far from empty. 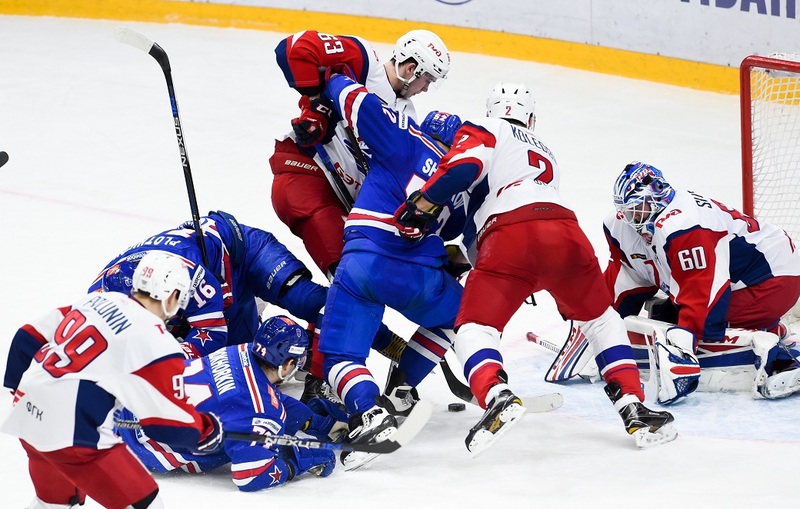 SKA made a confident start to the season, but they were still far from invincible. The opening game of the campaign, for example, ended as a 1-2 defeat at the hands of Traktor. 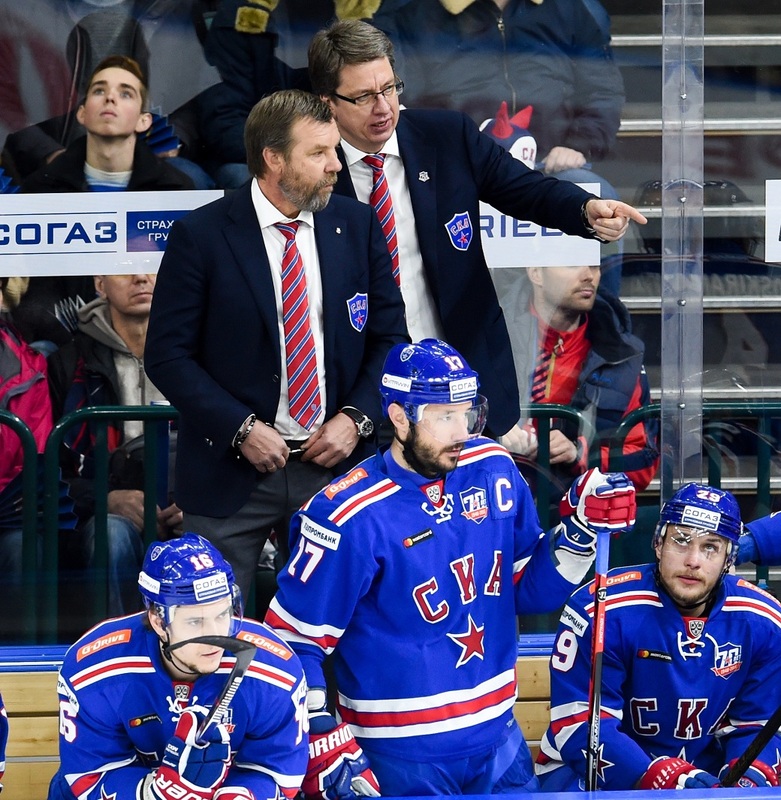 Oleg Znarok put the loss down to an overflow of tension and excitement, and indeed, his team justified his faith in the most impressive fashion. 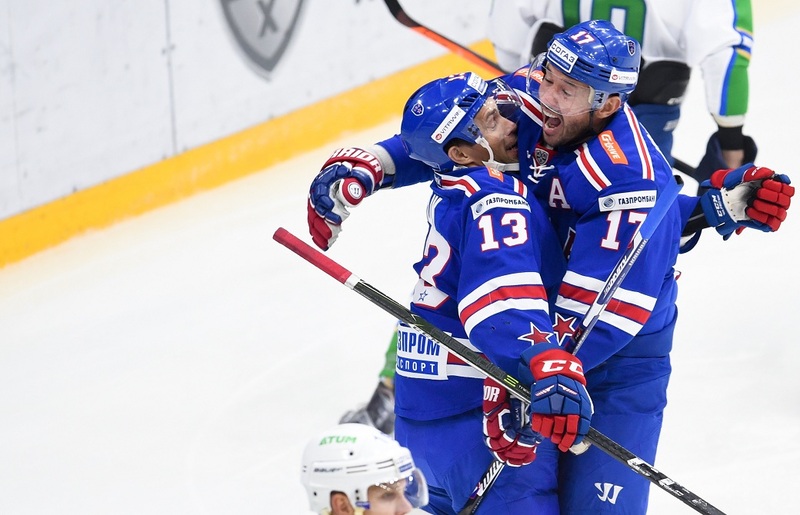 In the next game, the first on home ice, SKA defeated Salavat Yulaev 7-1 and Ilya Kovalchuk hit a hat-trick. For the first, and by no means the last time in 2016-17, hats and caps went flying in the Petersburg Ice Palace. 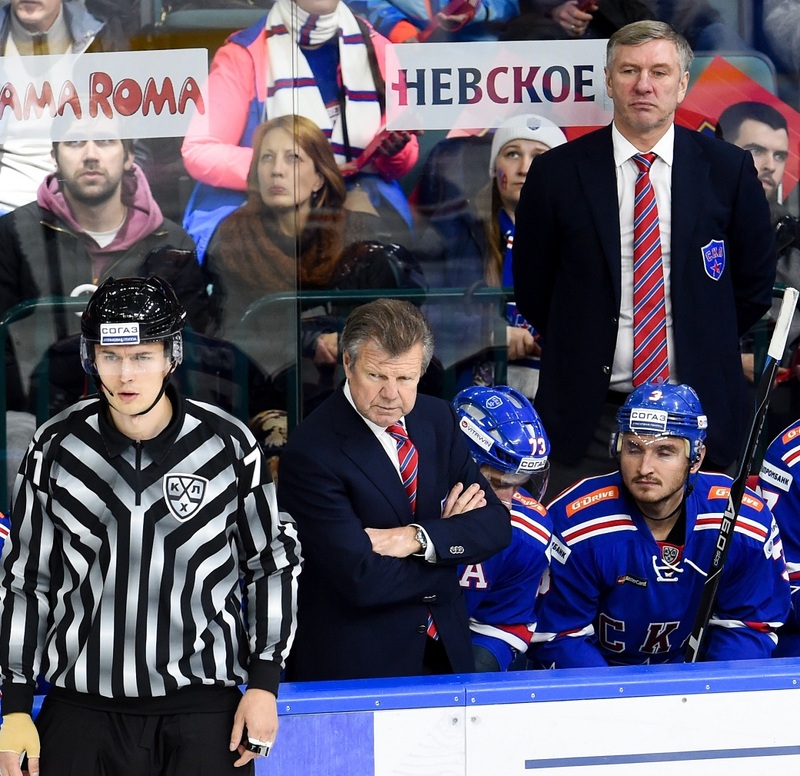 Vorobyov at the helm, the team maintained its winning momentum. 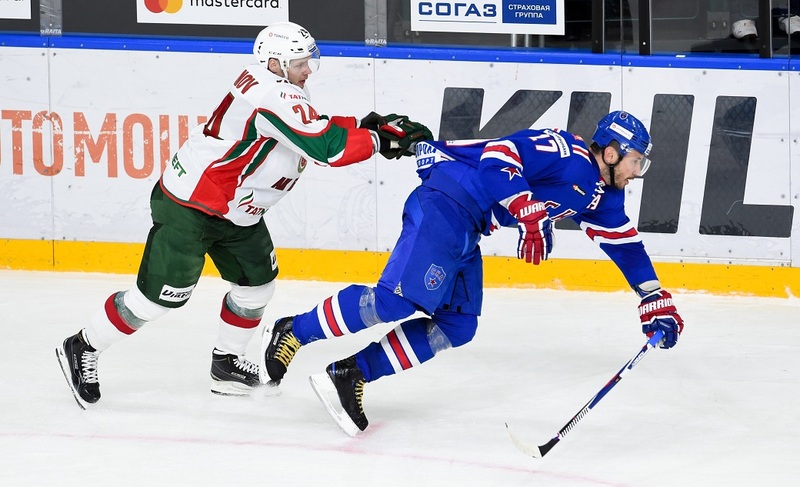 One of the most exciting matches in the early stages of the Championship was the match in Kazan, when Ak Bars raced to a 5-1 lead before the Petersburg Men launched a stunning fightback. Five seconds before the siren, Pavel Datsyuk stunned the stadium when he leveled the score at 5-5. The Kazan Men recovered admirably, however, and managed to seal a thrilling win in overtime. 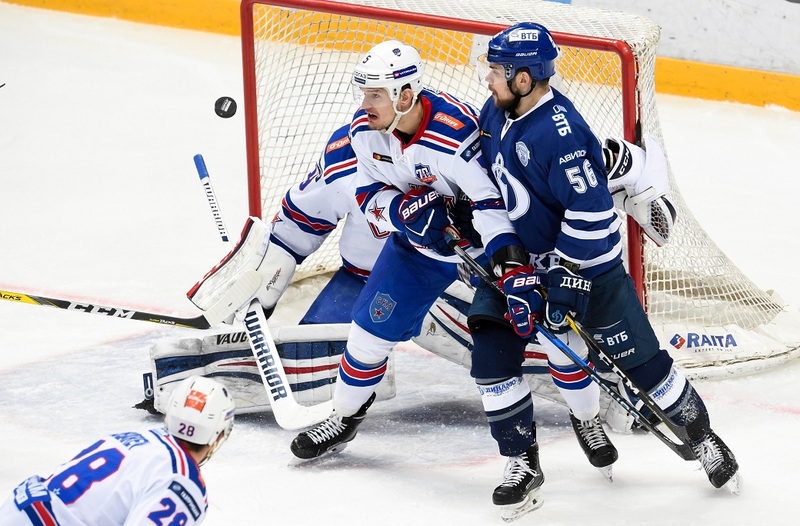 In October and November, SKA embarked on an impressive winning streak: 15 successive victories, and all but two in regulation. There was a slight stumble around New Year, when the Army Men suffered four defeats in a row, but this caused little concern. And the past fleetingly competed with the present for attention when the club celebrated its 70th anniversary. As part of the festivities, the team wore a special camouflage uniform. 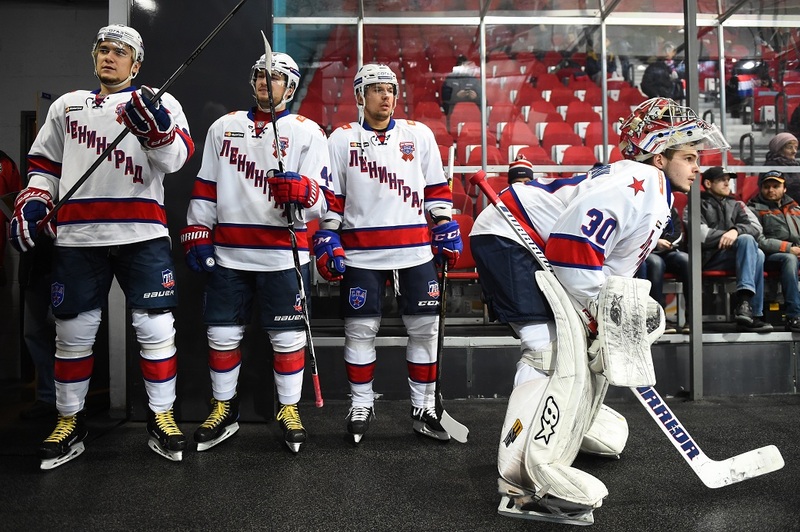 SKA also recreated the old “Leningrad” jerseys, which the team wore in a few KHL Championship matches to mark the jubilee. 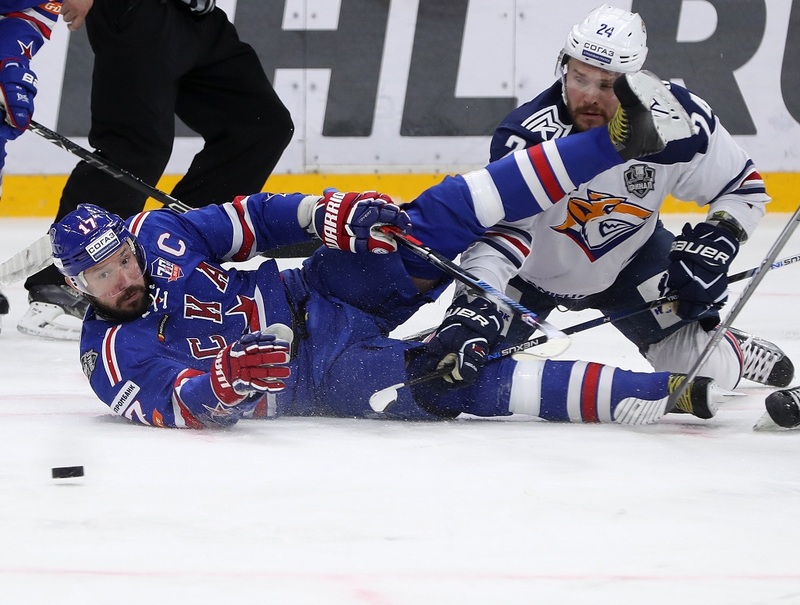 The regular championship finished with SKA occupying second place in the overall standings, and their Moscow rivals, CSKA, winning the Viktor Tikhonov Trophy by a whisker. However, the main mission lay ahead. 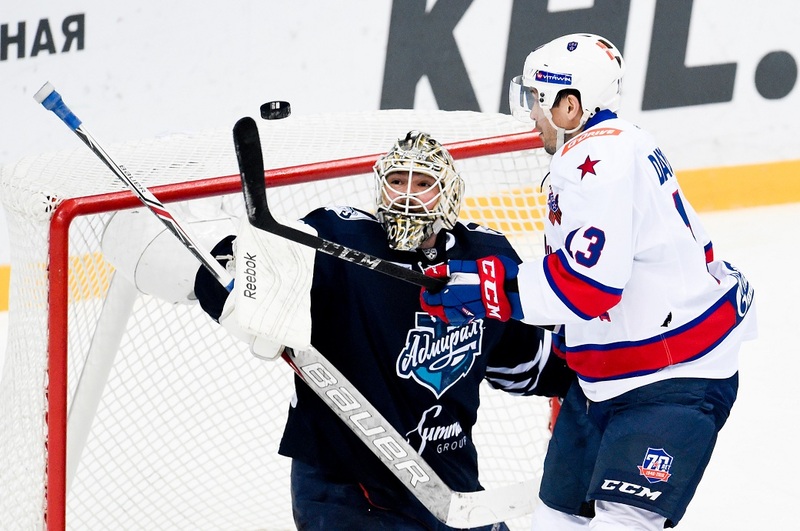 The first obstacle in the quest for the Gagarin Cup was Vityaz, who offered stern resistance in Game 1. 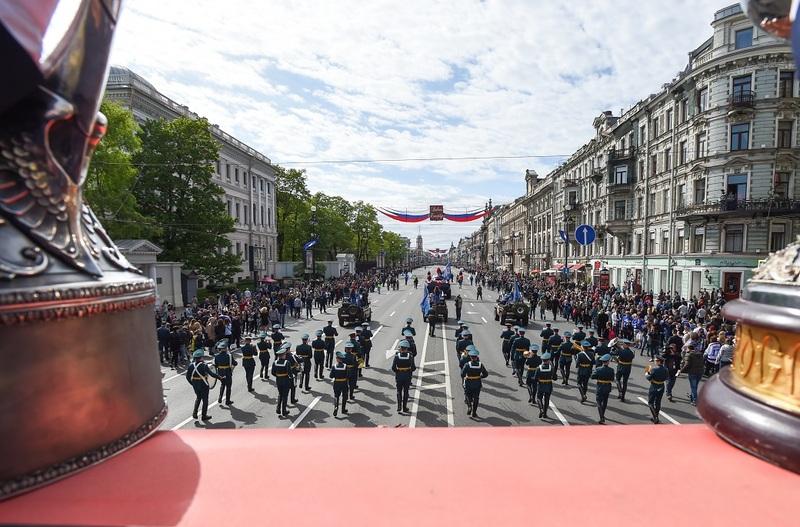 The second game coincided with Russia’s national holiday, Defender of the Fatherland Day, and the Army Men marked the military festival in style. 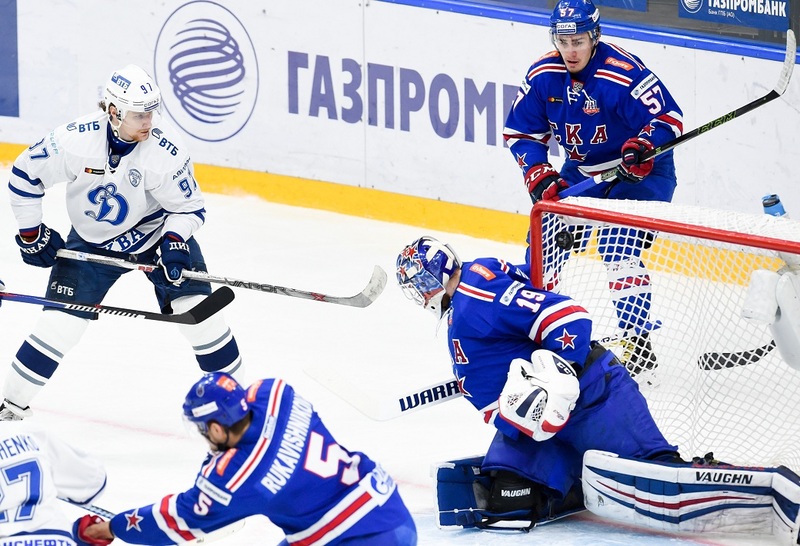 Having defeated Vityaz, the task for SKA in the next knockout round was to overcome Dynamo Moscow. 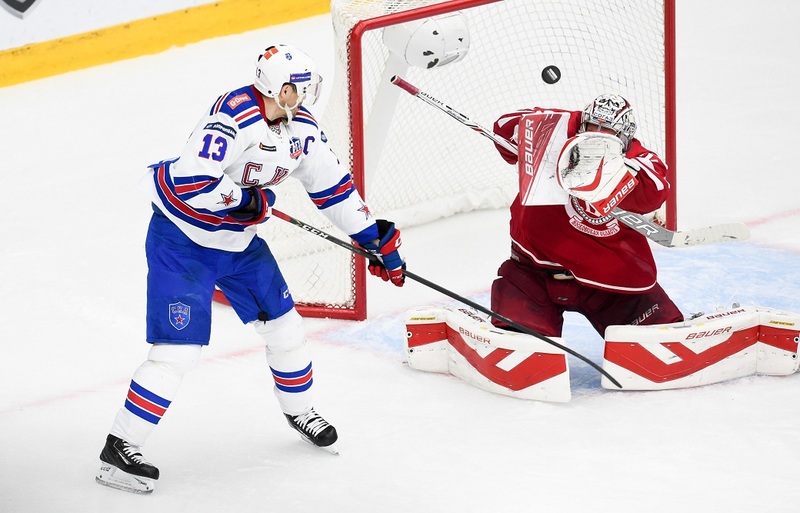 Things looked ominous when the visitors pulled off a shock victory in Game 1 in Saint Petersburg, and SKA hearts were in their mouths in the second encounter when the Muscovites came close to taking a 2-0 series lead, but the Army Men snatched victory from the jaws of defeat and won four successive games to book their place in the Western Conference final. 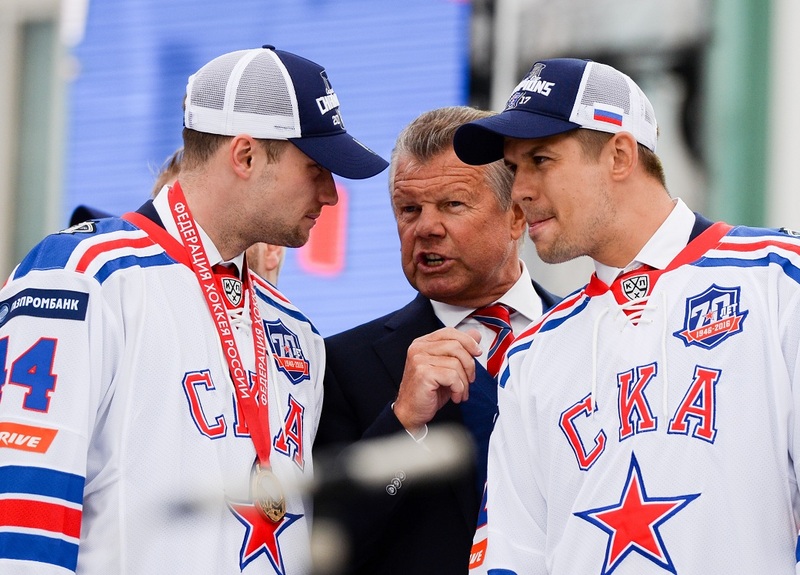 Standing between Oleg Znarok’s team and the Gagarin Cup final was a formidable Lokomotiv side which had ruthlessly eliminated regular season champion CSKA. As expected, the Yaroslavl Men battled fiercely. 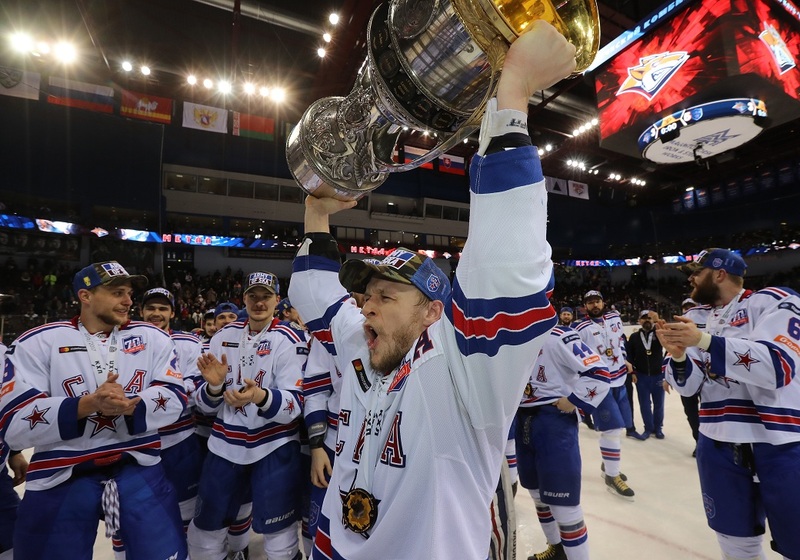 Three matches in the series were won by a one-goal margin (including two settled only in overtime), but SKA met fire with fire and marched into the final. 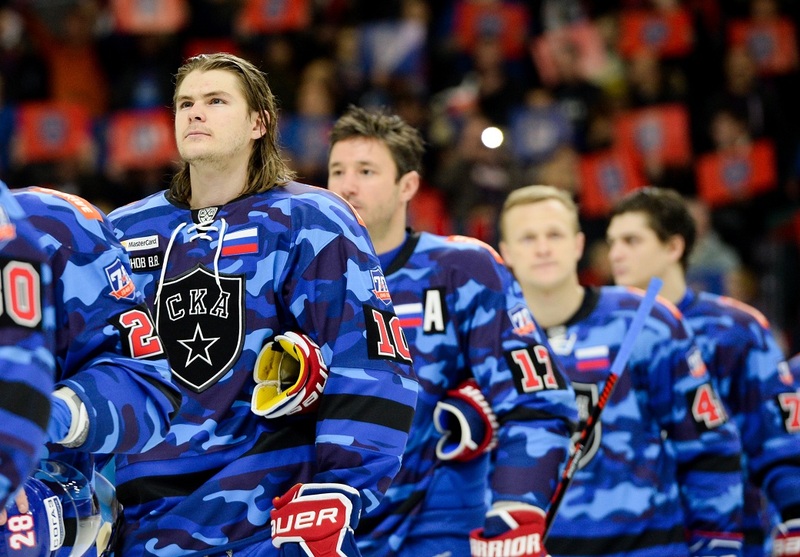 SKA and Metallurg Magnitogorsk treated the fans to an unforgettable series. 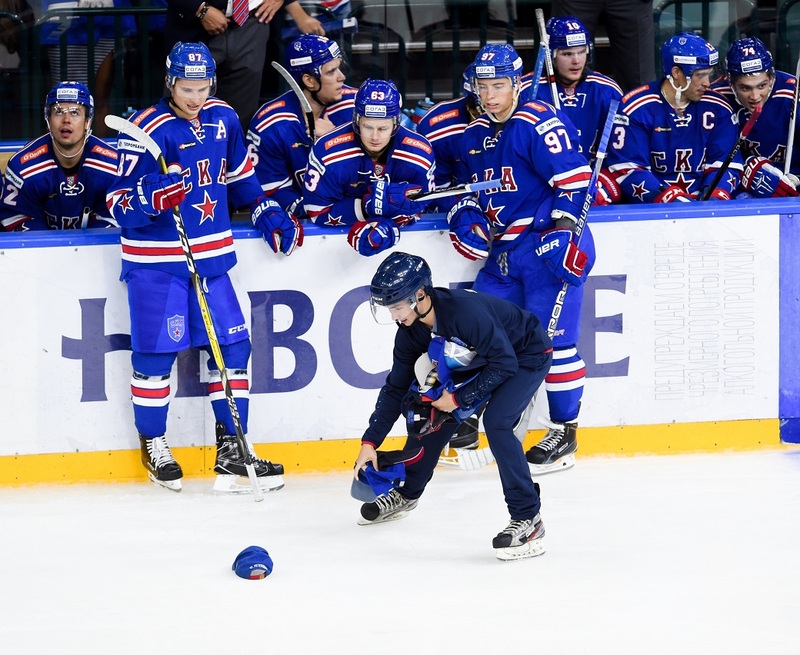 The challenger surged ahead, the reigning champion fought back to draw level, and in the crucial fifth game, in a nail-biting, tense spell, a Magnitogorsk victory seemed on the cards. 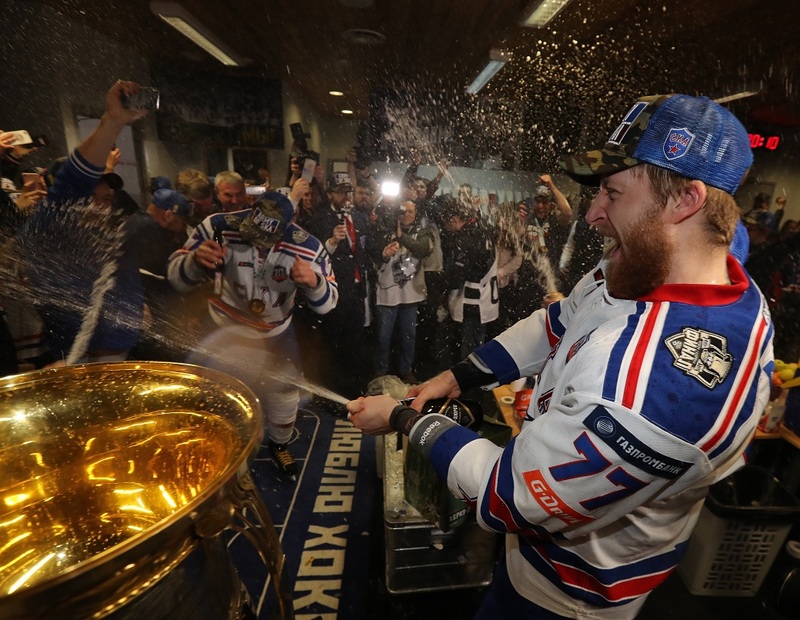 But,there was to be no stopping the men from Petersburg, and on that day, the 16th of April, SKA won the game, the series, and the Gagarin Cup. 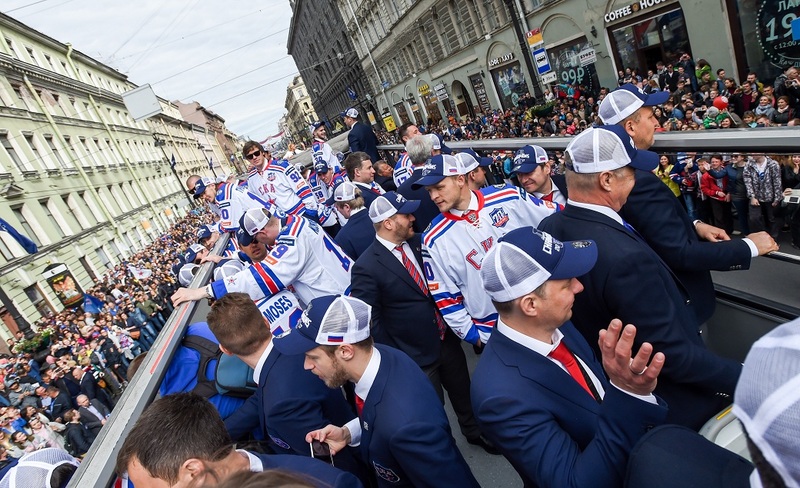 On the 28th of May, with their elegant city packed with tens of thousands of fans, the SKA Saint Petersburg team was slowly driven along Nevsky Prospekt in a glittering victory parade.